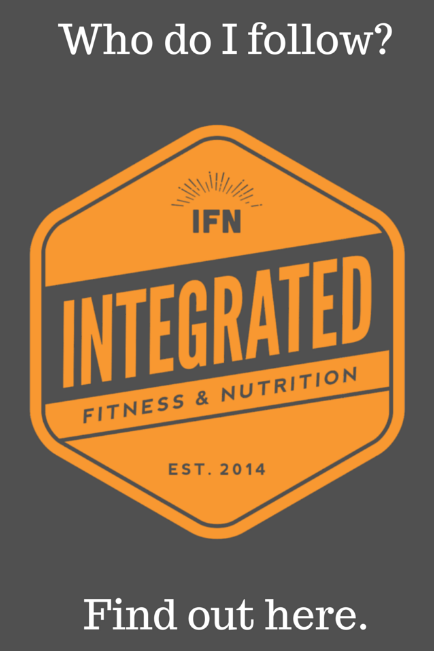 WHO DO I FOLLOW IN FITNESS AND NUTRITION? So I have compiled a list of OTHER websites, blogs, podcasts and anything else that I frequently look at (at least once per week). This isn't to say this is all I look at (there are dozens) but it does give you some idea of what I keep tabs on and interact with. Check them out and I highly recommend you follow their work! Despite the fact that he is British, Ben seems like pretty good value. He is on top of everything in the world of nutrition for performance and general health. He also provides some decent banter and nutritional information through his podcast Ben Coomber Radio. I highly recommend subscribing to the podcast and listening to it in the car or while out walking. Ben also provides the odd rant on his blog and has a mild distaste for Herbalife, as you will see from his YouTube videos. More like Gains Norton, this guy is a weapon! PhD in Nutritional Science, former bodybuilder and current powerlifter. Layne's knowledge and appreciation for science is something I naturally gravitate towards. His video log series included metabolic damage and reverse dieting are is must-see for any competitive figure athlete or long-term dieter. Most of them go for at least 20 minutes, so get some popcorn (IIFYM) and get ready to learn! Phil is one of my favourite influencers in the training and nutrition industry. Phil takes a no-crap approach to discussing training and nutrition, yet demonstrates a deep knowledge and ability to consider practical applications. He is a massive advocate of continuing education for fitness professionals and runs many seminars (if you follow him on Facebook you would know). Phil also has a great podcast, but it can be a bit sporadic. Phil is also releasing an e-book later this year, which I think will be a great resource and I am looking forward to reading it! This website is a must for all gym-goers with an interest for gaining muscle and strength (everyone). The content is fairly bro-orientated, but is written by experts in the field of strength and conditioning. Most of the articles are about gaining muscle size and improving strength on the squat, deadlift and bench press, and the advice is presented at a level anyone can understand and implement. The content is updated almost daily and is always worth a read. Sometimes the articles push T-Nations own products a little bit too much, but if you can get over this, it's definitely worth a look! His Twitter bio calls him the 'Ron Burgendy of Nutrition', and I wouldn't disagree, mainly because you can't win an argument with this guy. He is debating Gary Tabues (author of Good Calories, Bad Calories) next year, which could be the most interesting debate ever seen on this planet. I also subscribe to the Alan Aragon Research Review, where he analyses the latest research in nutrition and writes about the findings and context in previous research. Alan also takes the time to troll Facebook which can provide some good entertainment if you time it right! Rachel is a guest host on Ben Coomber Radio for every second episode. If you are a female and hesitant about lifting weights, you need to follow Rachel and she will alleviate this. Her YouTube video Why Women Should Lift Heavy Weights clearly and simply shares the benefits of females lifting weights to improve their physique, and reassures they won't 'get massive'. I am unaware of a blog, but she has plenty of good content on Facebook and other social media. Every now and then you need to tone down the science and let the bro's speak. This site is a collection of articles, posters and videos. They idolise protein, Arnie and not doing cardio, which I'm sure most of us can easily relate to. Recently, the content has slowed down, but check out the archives for plenty of entertainment. Two Scoops Guide to Running is still one of the funniest articles I have ever read! Former rugby player and current fitness/nutrition expert. Alex takes a smart approach to nutrition, and highly values the benefits of being able to cook (important for lazy guys). He also discusses how rugby injuries impact his current ability to train and how to account for this. He posts most of his content to Facebook (long posts) and has some good banter on Twitter. If you want to watch video content, Steve is your man! The majority of videos are cool training videos, often featuring other fitness industry figures. Check out his Swoldier Nation content on YouTube, it contains some awesome training and cooking advice. Steve is also a Physique Competitor and competing in this years Men's Physique Olympia contest! There aren't too many gym/bodybuilding blogs out there I like, so when I came across this gem I kept coming back. These guys write insightful and interesting content, with a heavy does of humour thrown in for good measure. The reviews of different training methods are a great resource for anyone looking to get some information about a new training system. They also review protein and gym supplements, but I don't think any of these products are found in Australia! 5:2 - Is it for you?